Boxing is all about stamina, dedication, hard work, and technique and sometimes you need a little motivation and inspiration to keep with it. One great way to do this is with technology you have on hand; namely, your iPhone and the apps you can get to help you out with all aspects of the sport. Some apps will help you improve your skills, some will act as a trainer, some will act as trackers, some you can use to help you make predictions on viewed matches, and more. 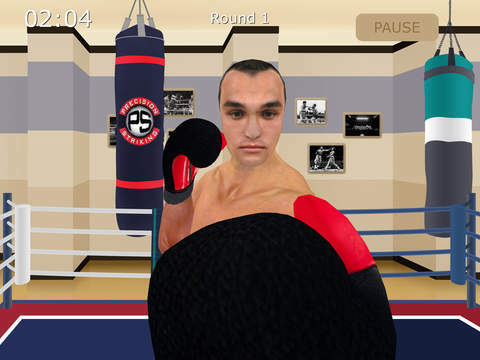 Check out our list of the best boxing apps for iPhone. Bower Boxing teaches you moves using the probability engine that throws unique and realistic combos. Some of the videos you can watch include Punches (Overhand Right, Uppercuts, Body Shots, Left Hook, Right Hand, and The Jab) and Defense (Blocks and Cover, Slipping, and Ducking). Workouts you can do include Quick (one round), Short (four rounds), Long (eight rounds), Infernal (twelve rounds) and Trainer (custom length). 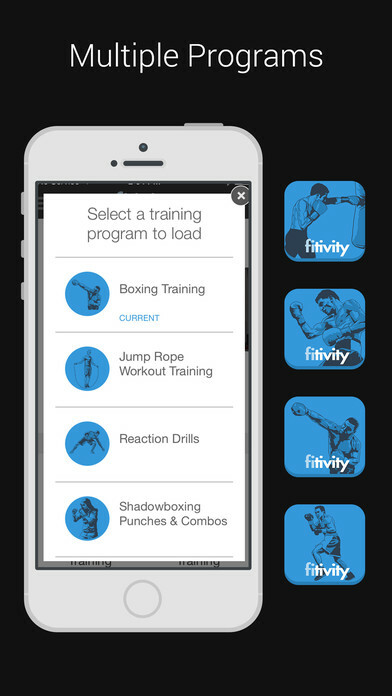 The app will teach you how to throw many different types of combinations using the proper form and you'll really have to remember them when they are called out during workouts. Boxing Training will help you on your way to becoming an elite boxer. You have to learn proper form for techniques and skill sets. 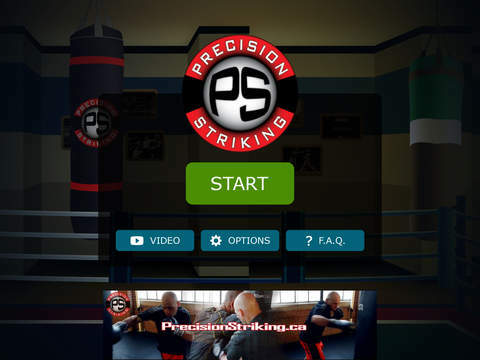 This app will teach you combinations, sparring, punching, defense, speed bag drills, footwork, focus mitt drills, and more. You will also be required to work on flexibility, cardio, strength, athleticism, and footwork to round out all of your skills so you can get into the type of shape you need to be in for a match. You'll improve your upper and lower body strength, core strength, quickness, stamina, endurance, balance, coordination, and you will burn fat. 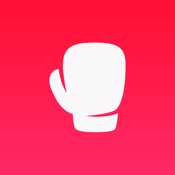 Uppercut is a reference app that will make sure you always know the up-to-date schedules so you can decide what fights to watch this week and what ones are upcoming. You'll see this week's cards including fighters, their weight classes, and any belts at stake. You'll know where and when to watch the fights so you don't miss even a minute. 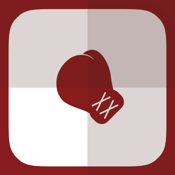 This is a must-have app for all boxing fans who want to know all about what fights are scheduled, who's fighting, and what the stakes are. 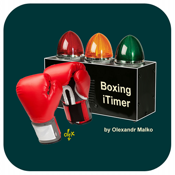 This is the fully functional, free version of the boxing timer app. You can use it for various purposes like boxing training, MMA, Tabata, yoga, HITT and any other physical activity that requires a timed period. 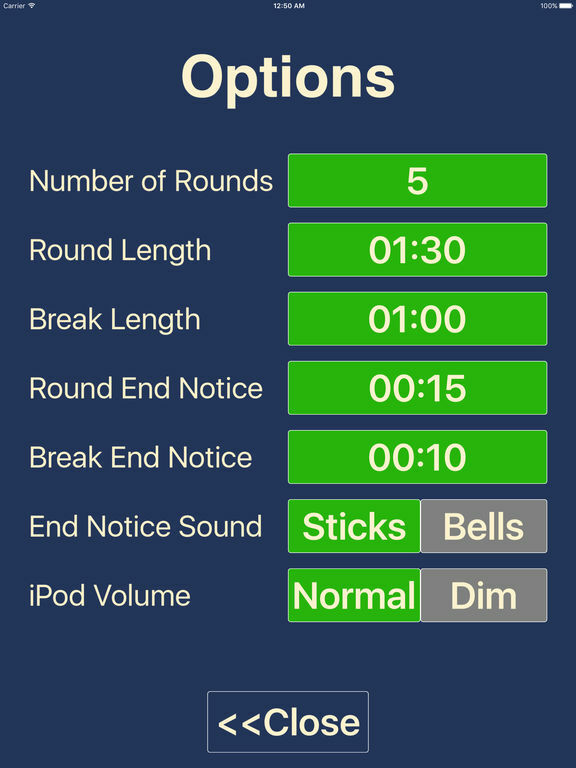 The app has a customizable round ending notice, screen never dims, works in background even when your iPhone is in the locked screen, you can use it while playing music, view session progress charts, color coded data and much more. There is a paid version of this app that has more features. 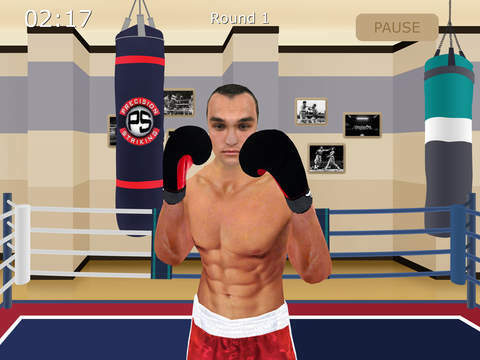 This game is part fun and part workout as users can have their very own virtual sparring partner. But, be aware, this partner is ready to throw some glove every chance he gets. 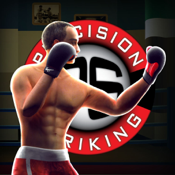 Choose your skill level, length of combos, sparring sessions, speed and more. Users can increase intensity levels, block, slip, duck and throw punches whether on the offense or counter striking. There is an in-app purchase for the unlocked full version which has more features. 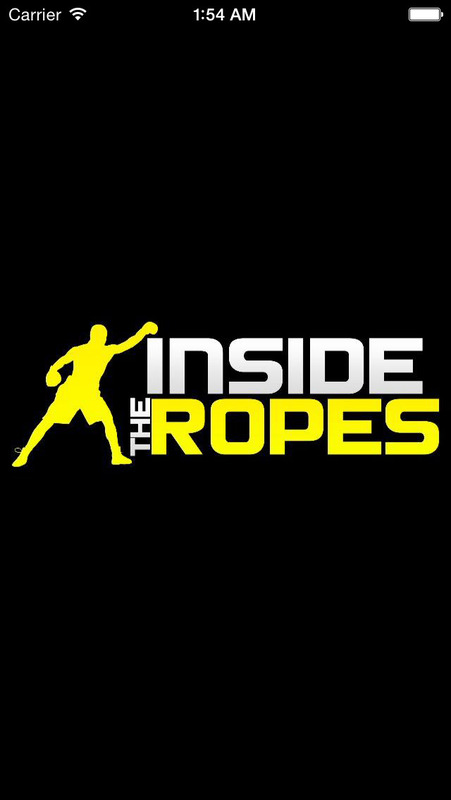 ITR Boxing is the app version of the website itrboxing.com. 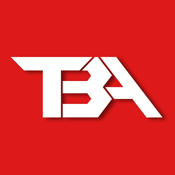 You'll have access to all of the latest rumors and news regarding boxing in addition to exclusive interviews, fight recaps, and more. 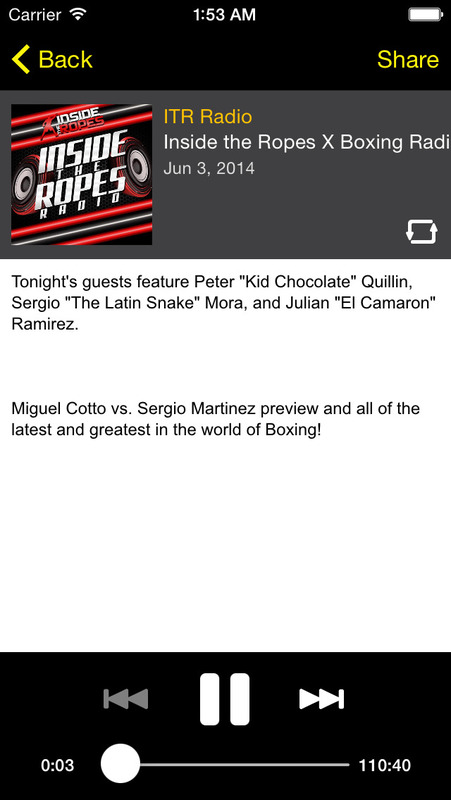 If you want to stay on top of what's going on in the boxing world then you definitely need this app. There are audio recordings, videos, and links to more. 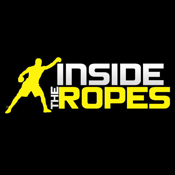 The website offers a fight schedule, articles, and you can listen to The Boxing Shop, an original radio show by Inside The Ropes Boxing. 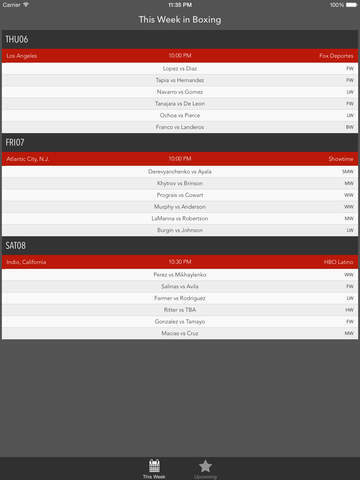 The Boxing App offers a simple way to keep track of all the fights coming up and allows you to make predictions about who will win each match. In the comments section you can discuss the matches with other users. For each fight, you'll see an overview with the date, weight class, and location. Do you have a method for predicting? Do you go by your gut or do you have some other way? You can talk about your prediction both before and after the fight. You're also able to see boxers' records within the fight view. It's easy to log in: just user your Twitter account. Sportsfusion is the place to go for boxing news and videos. 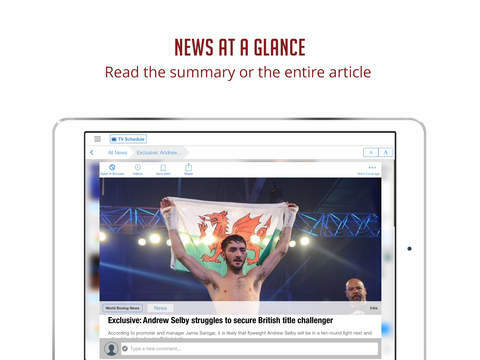 The app pulls all the boxing news stories from across the entire web and gives you a clean feed so it's easier to read. 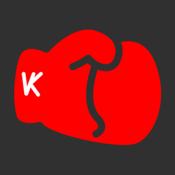 Features include a clean feed with no duplicate stories (one tap will take you to all the sources that covered the same story), push notification options, a TV schedule for all fights, videos curated from YouTube, in-app commenting system, read later function, and a customized news feed. You can filter out unwanted sources and view in collapsed mode as well, which is a great way to consume this content using the smaller iPhone screen. 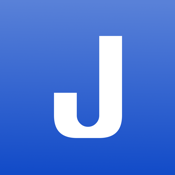 JudgecardX is a boxing scorecard app that you use to keep track of your scorecards. You can also see average results from all over the world. All scorecards are stored in the cloud so if you change your iPhone (as we all do, semi-regularly), you won't lose your scores. 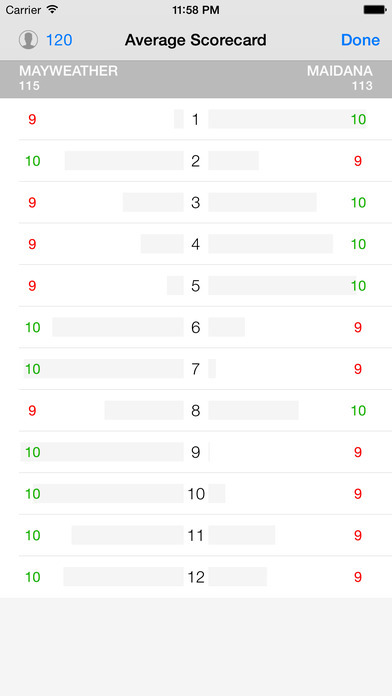 You can view average results in real time from everyone else's scorecards, and you can see what percentage of people scored each round for each fighter. You can request a community scorecard for everyone to score, or make your own private scorecard if you can't find a match you want to score. 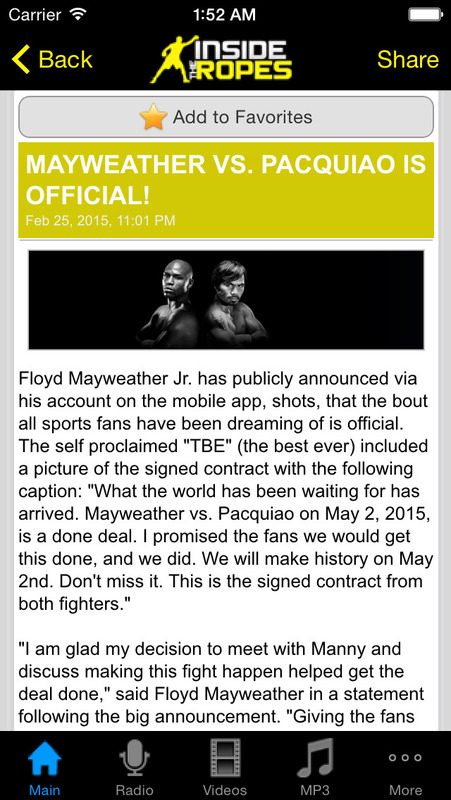 You will score classic 15-round fights, and when you're done, save to your photos or share to Facebook or Twitter. 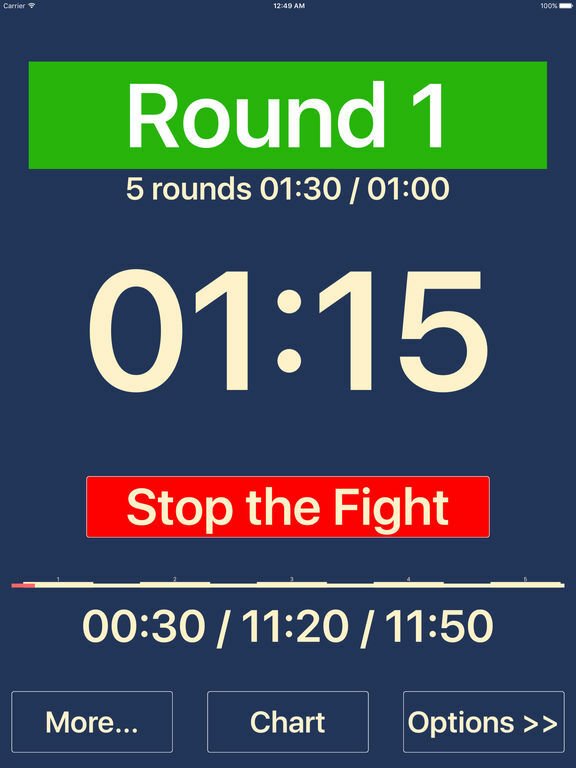 Boxing Stopwatch is a professional-grade round timer that you can use for MMA and boxing round training for practice and fights. 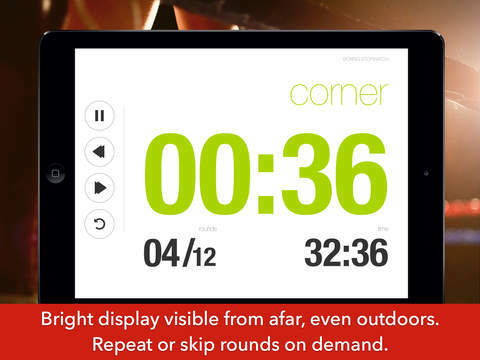 Just launch the app and press play to start your training workout. 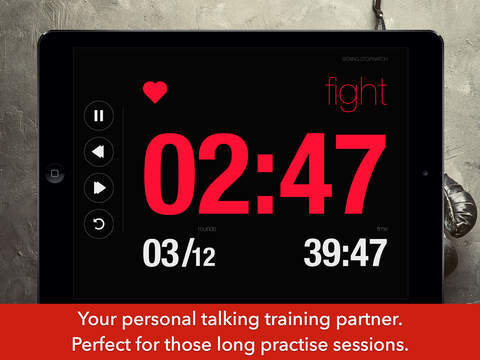 Set rounds and times to match your fitness level and pace. You get beeps, bells, and voice assist to keep you focused on your workout and not worrying about how much time is left on the clock. You can set the sound notifications up how you like them. Add your own music and get going! The color-coded display makes it easy to see even from halfway across the room, and you can choose from two different themes.